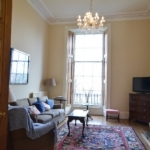 "An elegant drawing room (with 18 ft ceiling height) and lovely views across to 'private gardens' (for which you will have a key). 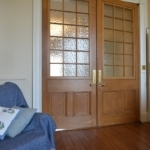 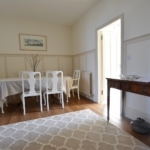 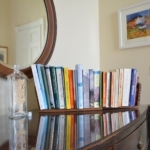 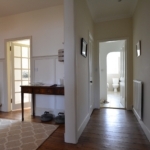 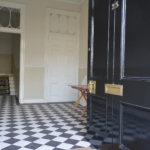 Double timber doors lead from the drawing room into a central dining area (seats 6/8 persons) with a well equipped kitchen / dining area to the rear. 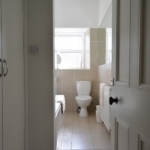 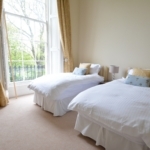 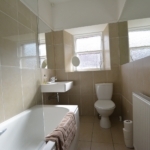 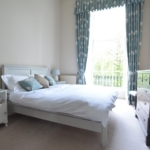 2 spacious bedrooms (1 kingsize and 1 twin) and a modern designer bathroom (with bath and shower). 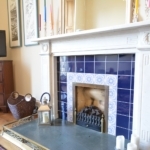 Nice touches throughout, this is a 'very well cared for' family home which could be yours for the month of August. 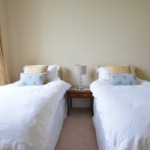 Wi-fi and TV are included. 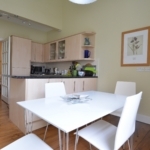 Price from £3350 for a 4 week stay. 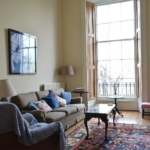 Stockbridge (a Village within the City) offers a superb choice of speciality shops, fashionable bars, restaurants, quaint cafes, delis and boutiques. 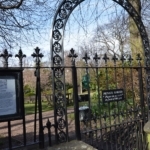 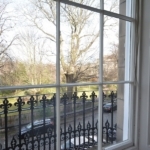 There is a wide variety of recreational facilities close by, including the swim and fitness centre at Glenogle Baths and the open green spaces of Inverleith Park and The Royal Botanic Gardens. 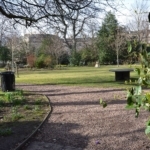 There is also easy access to the impressive Water of Leith Walkway and a very pleasant 30 minute 'river walk' to the Gallery of Modern Art . 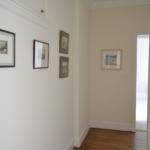 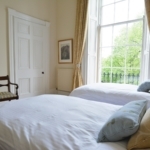 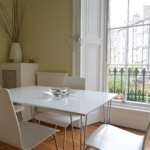 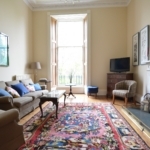 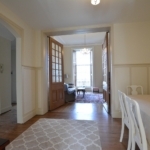 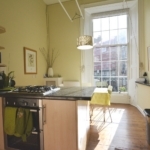 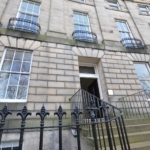 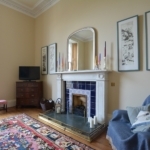 A lovely location in the CIty and a welcome retreat from the 'hustle and bustle' of the festival, yet close enough to the 'bright lights' with George Street just a 10 minute walk away.